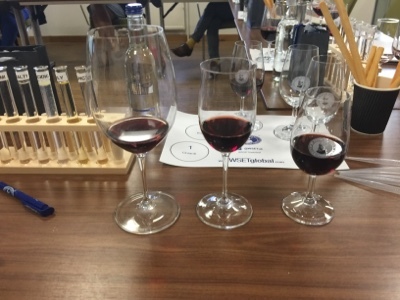 Last week I attended a short class at the Wine & Spirit Education Trust with the aim of turning participants into wine buffs in just a few short hours - and boy, did they have their work cut out for them! We were seated in front of a rather scientific looking display including multiple glasses of wine, test tubes and pipettes (which were pretty exciting as I haven't used one since GCSE science). 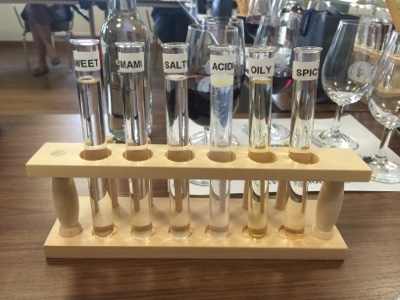 We began the class by giving the wines a good sniff followed by a small swig in an attempt to pick out tasting notes. The browner a red wine is, the older it is (ruby red wine is young) - similar to how an apple turns brown after you bite into it, the grapes beguine to change colour as they age. Acidity pushes saliva glands to the max - the more acidic a wine is the more saliva you'll produce. I assumed this is why acidic red wines are served with steak, to give you that mouth-watering sensation. You know when you get a furry/dry sensation in your mouth after drinking wine? That's caused by 'tanning' - a compound in the grapes that coats your mouth after drinking. This effects people more-so if you're sensitive to bitterness. 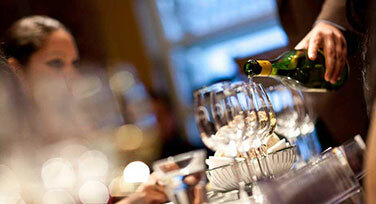 Fruity and floral wines are best serves chilled as a higher temperature distorts delicate flavours. 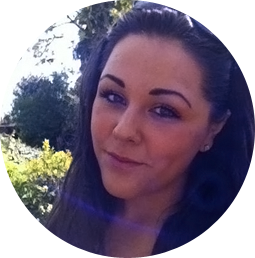 The warmer your wine is, the more gas it releases and the stronger the taste (think of a reed diffuser on a radiator). 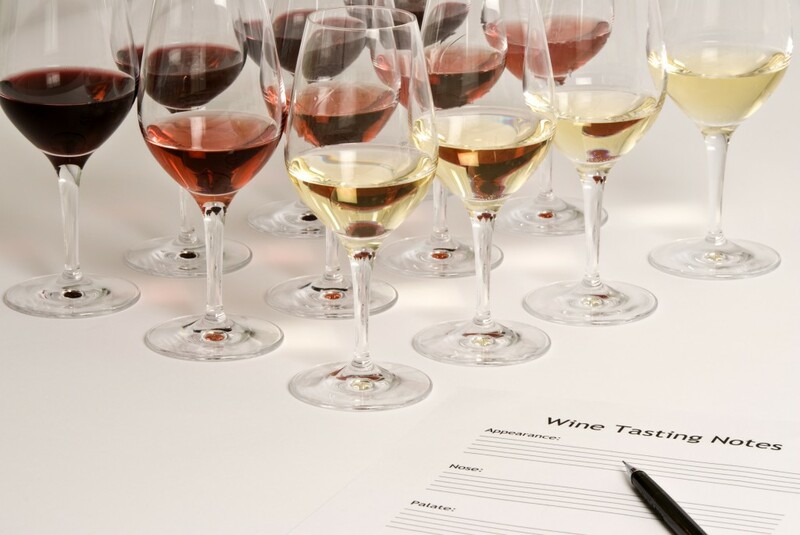 Room temperature wines give a longer finish, although warm wine will make the wine taste 'flat'. 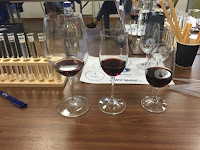 I was surprised when I tasted three glasses of wine all at different temperatures - to me they tasted like completely different wines! I think the most interesting part of the evening was the wine and food pairing. I was expecting to be told which wines to pair with what food, and to be able to wow my family and friends in restaurants. However... this wasn't the case.We were told food changes your palette, and therefore wine will taste differently depending on what you pair it with (just like toothpaste changes the taste of food and drink). Unsuccessful pairings usually make a wine taste bitter, whereas successful pairings will make the wine taste smoother, which explains why wine always tastes better in a restaurant setting. Restaurants highly season their food (alot more so than we do at home), making the wine taste better. Remember those complementary olives on your table? Well, they're salty and oily, therefore making your wine taste better. I now feel rather cheated, as restaurants may well be serving us cheap wine that wouldn't be as appealing at home, but tastes great paired with their salty, oily, fatty food! It's worth noting alcohol gives chili extra heat/a burning sensation if over 8% - hence why a curry is usually accompanied with a beer and never with wine. 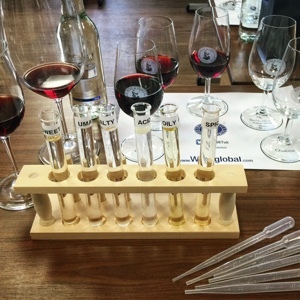 If you want to learn more or are interested in gaining the only recognised wine qualification in the UK, visit the Wine & Spirit Education Trust's website for more info.